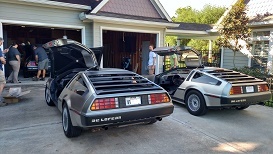 Saturday, April 23rd, the first club tech-day of the year was held at Jeff Cook's house in Katy. Tech-Days are when club members come together to help each other accomplish much needed or desired work done on their cars. Members attending are Robert Goodwin, Shannon Birdwell, Jeff Cooke, Jeff and Kimberly Terrell, Chris Story, Patrick Wong, Aaron barringer, Dennie Utrech. Here are some of the things accomplished: Door Window Motor Replacement (both) + Interior Drop Glass Seals + Outer Wipe Seals. Idler Pulley Bearing Replacements (both). 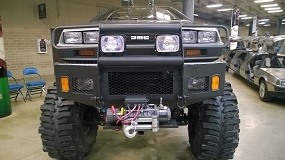 Automatic Transmission Filter Replacement. A big thank you from all who attended to Jeff, who hosted the event (including coffee and donuts, and lunch). 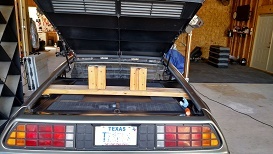 - clearance from angle drive to spring can open up (or close) by one inch as the car is dropped to (or lifted off) the ground. New angle drives can be damaged by springs when the cars front wheels are lifted. 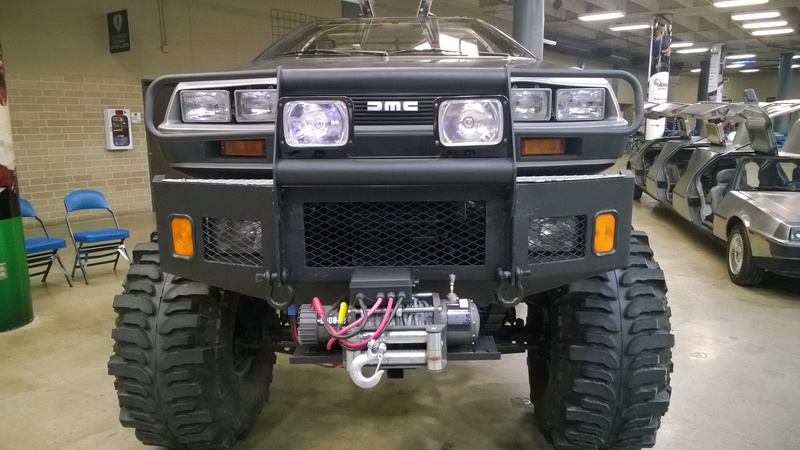 - lots of discussion on front LCAs, and options for bracing. Thanks to everyone who came along. Definitely looking forward to our next tech day. 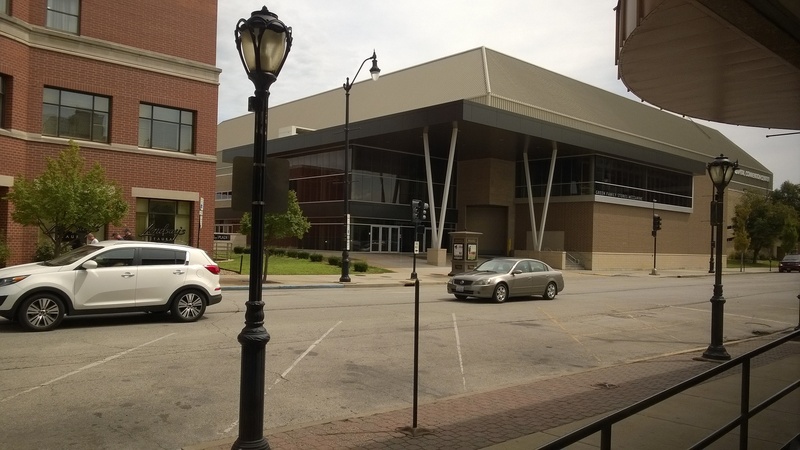 All photos by Shannon Birdwell (click images to enlarge). 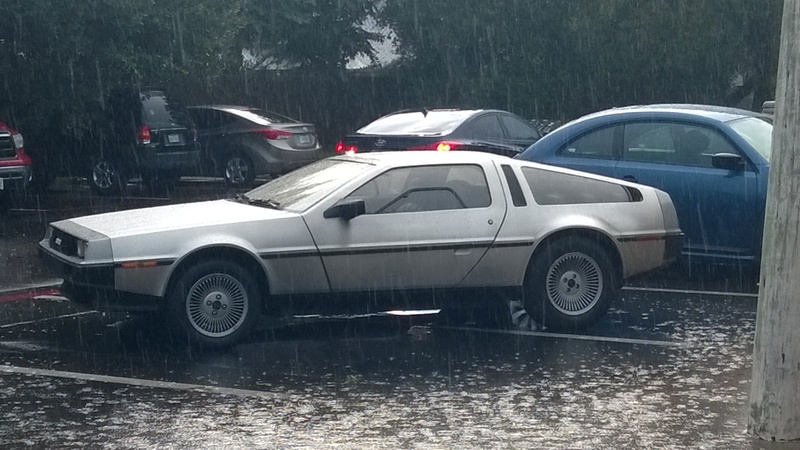 Here are the first three DeLoreans to show up and get premo-parking. 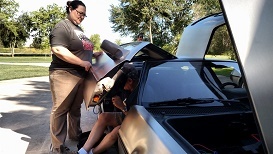 Kimberly and Jeff got some internal passenger door work accomplished. This is a wooden jig built for perfectly aligning tooling for making tortion-bar adjustments. Pretty clever, eh?. 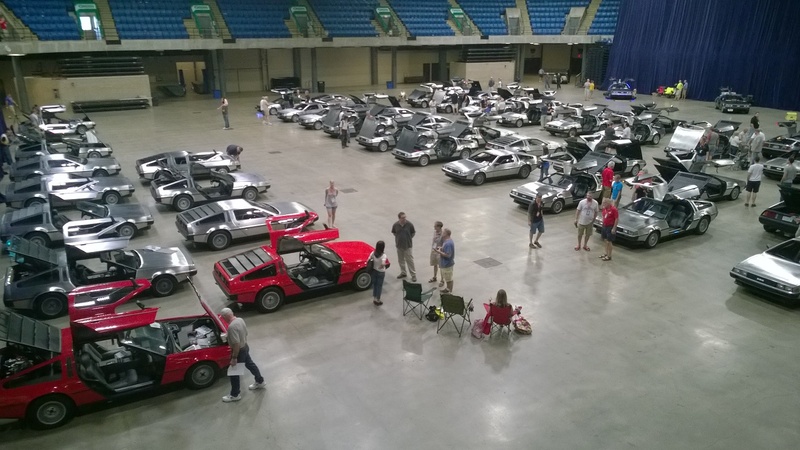 CLICK HERE to go to the Texas DeLorean Club page dedicated to the DeLorean World Tour. 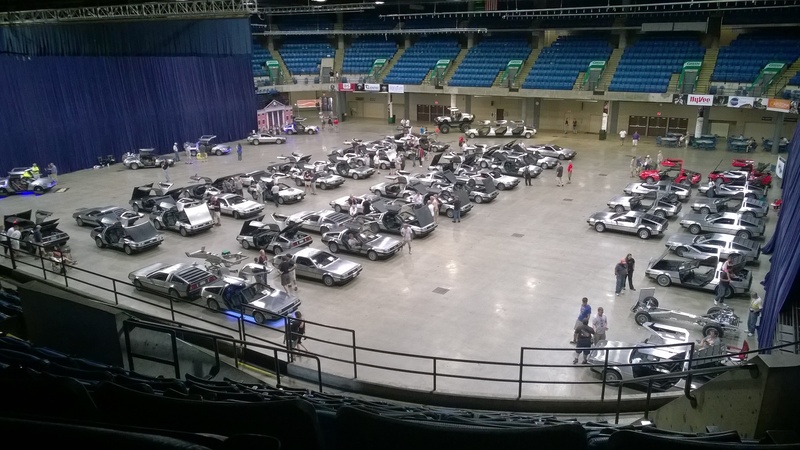 Thursday, Friday, Saturday and Sunday, July 21-24, 2016, the DeLorean Covention and show took place in Springfield Illinois, at the Prairie Capital Convention Center (PCCC). 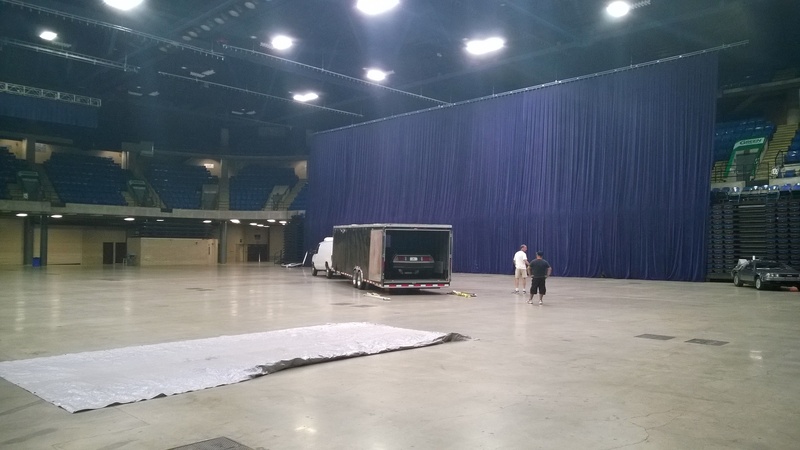 All photos by Thomas Kidd (click images to enlarge). 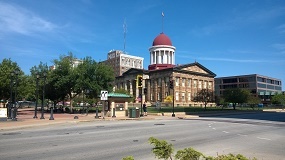 Arriving Wednesday evening in downtown Springfield Il., I see the Illinois state capital building just a few blocks away from where I will be staying. The President Abraham Lincoln (PAL) hotel, where I'll be staying for the next four days (leaving Sunday morning). And right next door to the PAL hotel is the Prairie Capital Convention Center (PCCC), where a mass of DeLoreans will strut their stuff for the next four days. And also close to the PCCC and PAL (just about two blocks), I see the original capital building where Abraham Linconln began his presidency. 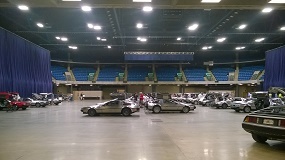 Here a near empty Prairie Capital Convention Center (PCCC) stands ready to accept DeLoreans from across the country. 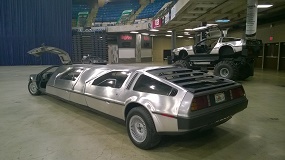 Early, before most DeLorean arrivals, Rich W.'s DeLorean Limo arrives. 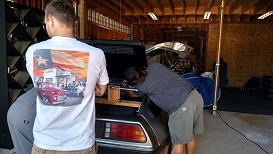 Rich has a few helpers unloading and getting his cars ready for display. 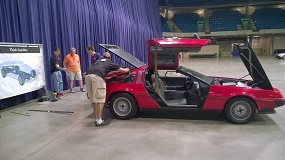 Again before any others arrive, Rich W.'s prop car sits alone. 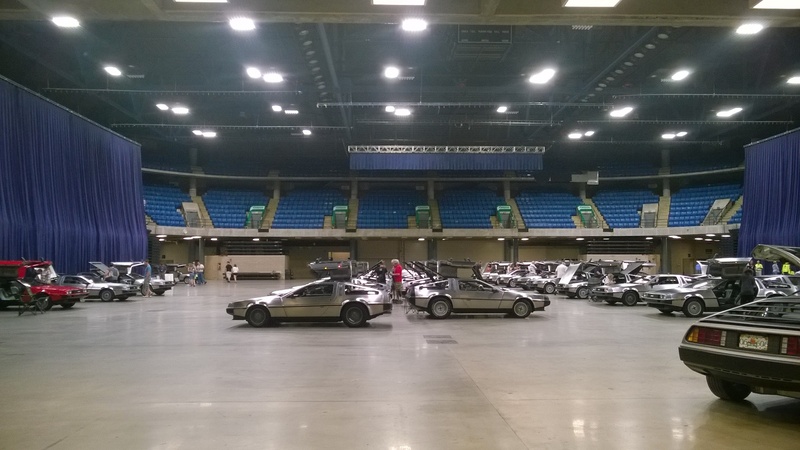 In this photo, three of Rich W.s Projects: The DeLorean Limo, the D-Rex, and the BTTF Prop Car were the first to enter the convention center. 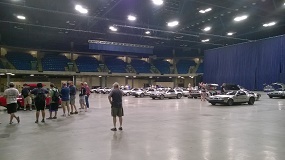 Finally cars and people start to arrive. 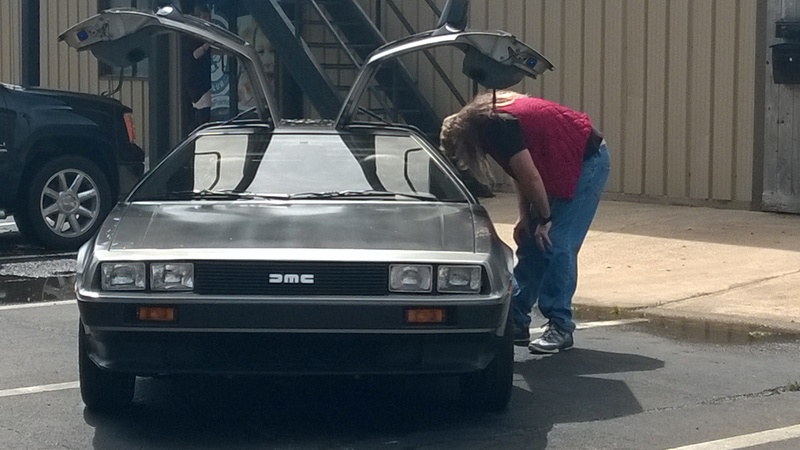 Chris Nicholson hard at work fixing various DeLorean body panels. 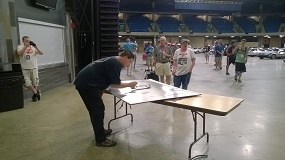 This man is an artist repairing/refinishing stainless. 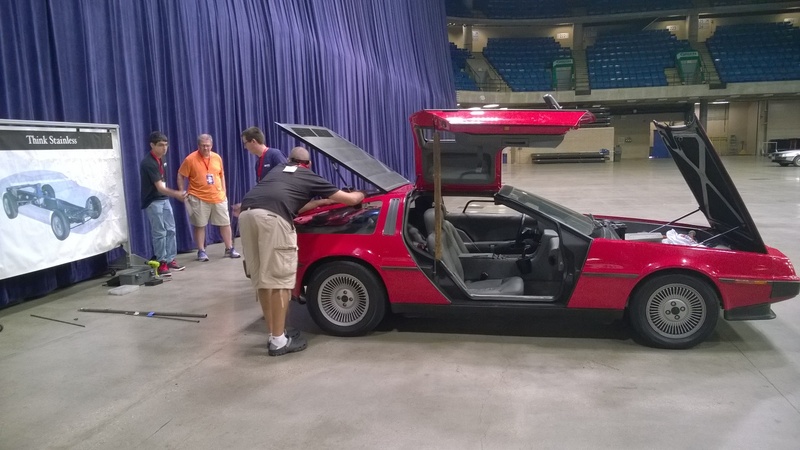 Chris was also part of the Saturday night presentation of A tale of Two Legends: 502 & 530. 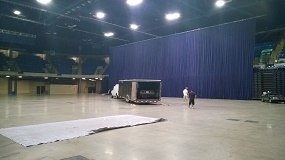 On the convention center floor, there was a tortion bar installation and adjustment demonstration by DMC Midwest. Breakout session of Klaus Steiner' presentation of the DeLorean World Tour. 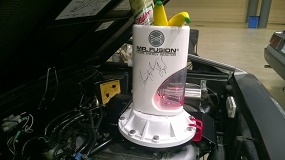 One of Bruce Coulombe Enterprises creations, VIN 3255, CEI build #4, I believe. 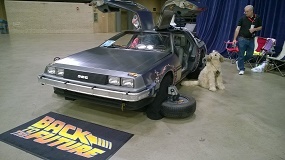 A view to a kill, from the convention floor. 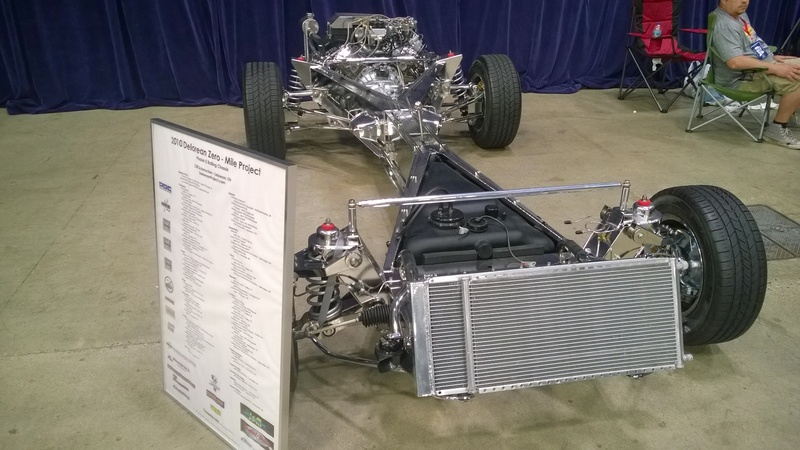 This of course, is what my chassis actually looks like under my car. Well, wait, ok, not really. 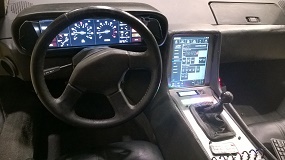 In fact my doesn't look anything like this! Another view to a kill, from the mezzanine. 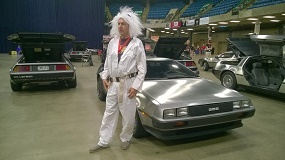 Hey, there's Doc Brown. 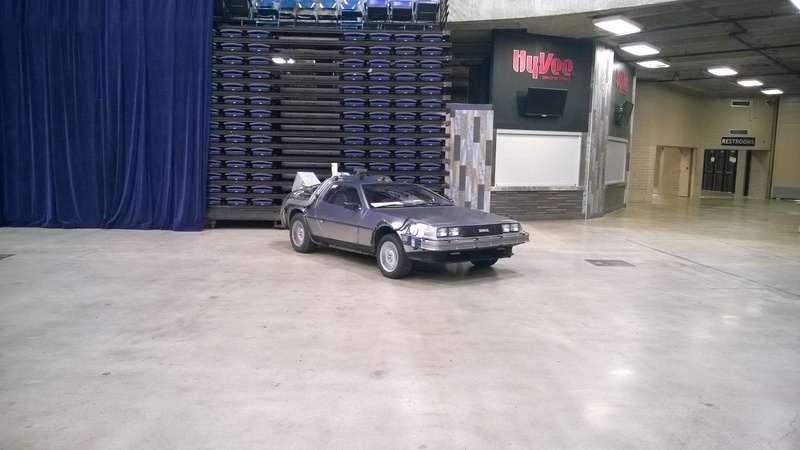 He actually made it to the convention. A Mr. Fusion, signed by Christopher Lloyd. 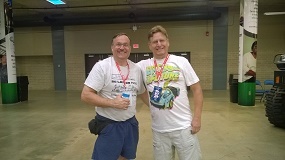 Rich W. and Ken K. (HEY, doesn't anyone use their last names anymore?). Actually it's Rich Weissensel and Ken Koncelik. What you don't see is, behind their backs, Ken is handing the DCS keys to Rich. 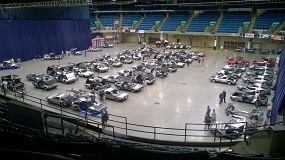 A view of the PCCC floor, from the mezzanine level. 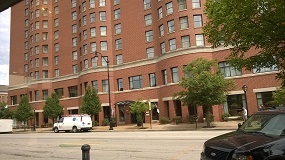 The Michael J. 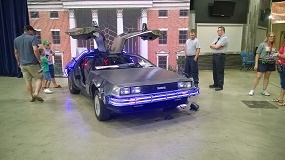 Fox Foundation DeLorean (Mega-Mile Time Machine), benifiting Parkinson's research, partially through the efforts of Terry and Oliver Holler. 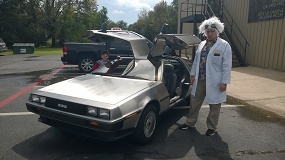 All donations go to Parkinson's reasearch. Ok, so now you're leaving DCS 2016, looking forward to nice, uneventful drive back home. You look up in your rear-view mirror and see this! Sheesh, there goes my day! Starting Sunday two weeks back, the LifePointe Fellowship Church in Pearland began it's 80's themed movies sermon series. 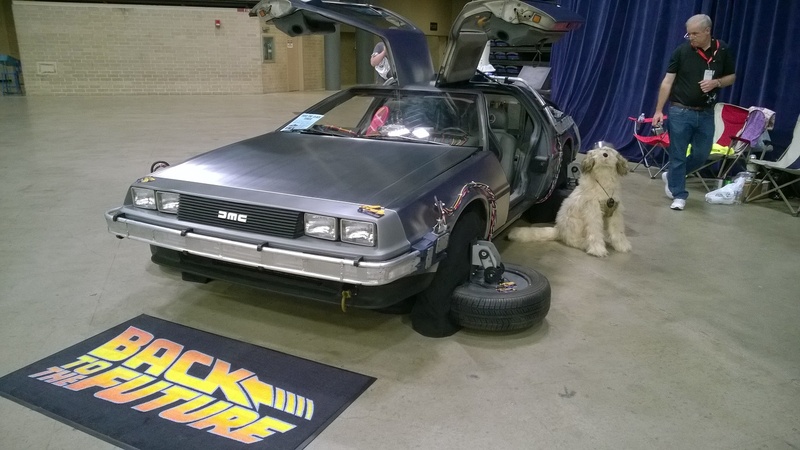 The final in the series was Back-To-The-Future. The church approached the Texas DeLorean Club to see if it could provide a DeLorean for promotional photos, and of course we did. All photos by Thomas Kidd (click images to enlarge). The weather that day showed 60% chance of rain, and it sure did, at least during early morning. 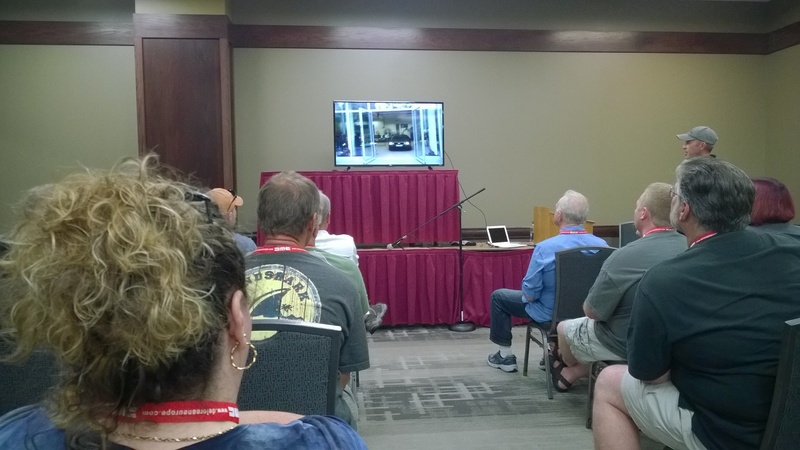 While it rained heavily outside, inside we were safe and sound, and listed to the sermon. 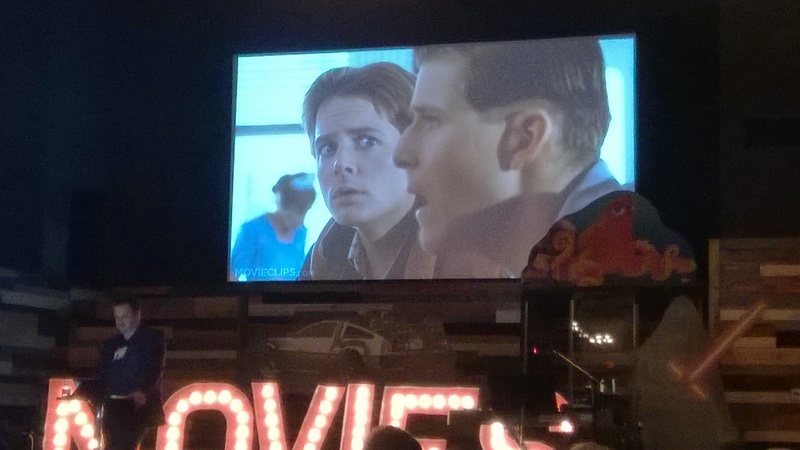 In this case, George McFly was compared to the biblical character Gideon (book of Judges). The message basically is that both had trouble with confidence, but were able to over come (Gideon was victorious over the Midianites, and of course George McFly was victorious over Biff). 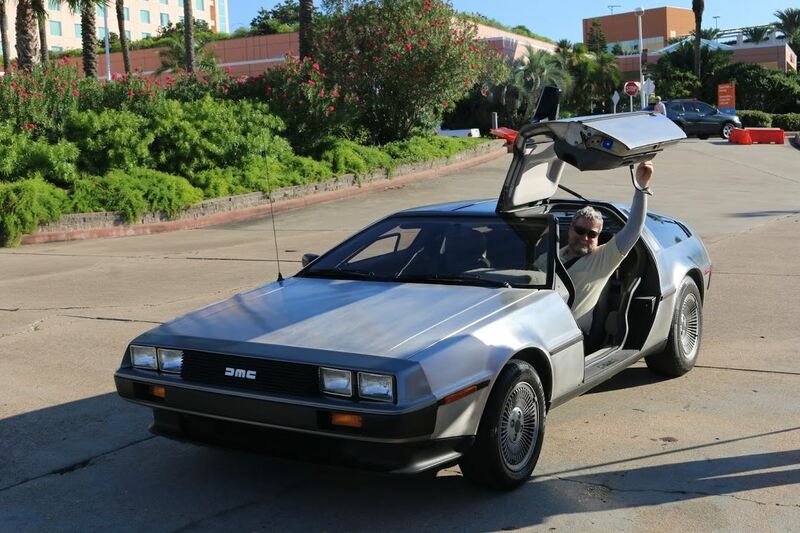 After the rain ended, the sun showed itself and attendees could get photos taken with the DeLorean. Many people confided that they had never seen a DeLorean in person. No BTTF sermon and DeLorean photo car would be complete with out a Doc Brown and a (miniature) Marty McFly). Curiosity got the cat. 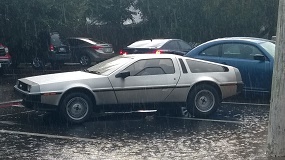 The DeLorean showed quite well, even though some water marks appeared after the heavy rains. I have always been proud of 3341, no eye-brows and no 'X' hood. 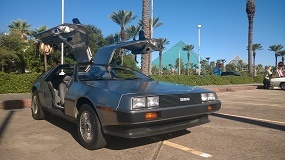 DMC (Texas) got a call from teachers in Floresville, Texas to see if a DeLorean could be provided for one of their students to ride in during their annual Peanut Festival. 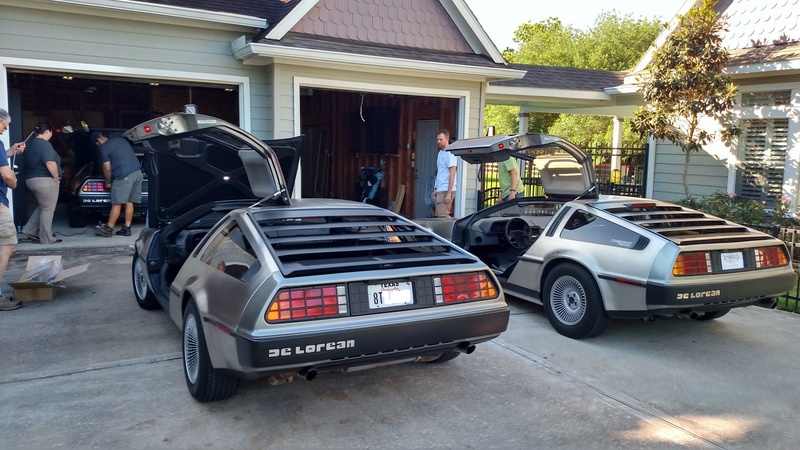 DeLorean club member Chuck Waters rose to the occasion and drove three hours from Katy, Texas, to the small town of Floresville, just outside of San Antonio. There, high school senior Sam Roach, a huge BTTF fan, gets a ride in Chuck's car in the Peanut Festival. Photo courtesy of Eyewitness News (click image to enlarge). 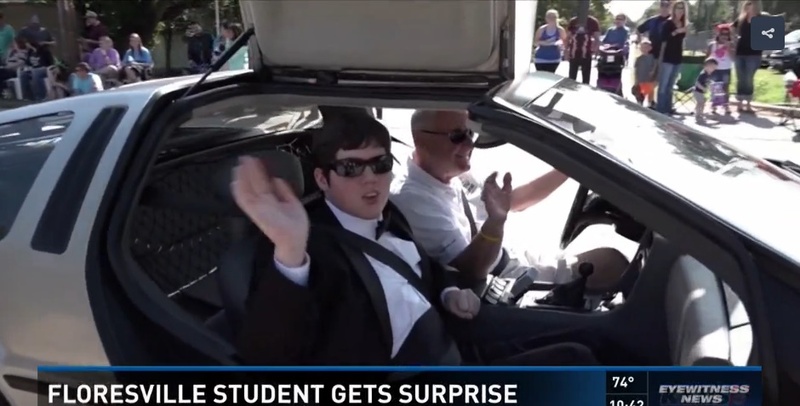 Here is a link to the KHOU Channel-11 news story, thank you very much. The Antique Automobile Club of Amaerica (AACA) is probably one of the largest automobile clubs in America, if not the world. It is divided into regions and then divisions. 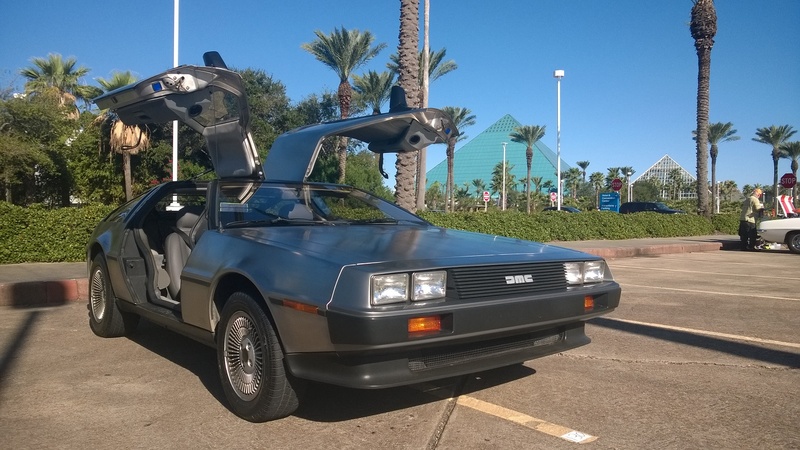 This year, it was the Central Division's turn to host the Gulf Coast Region's (GCR) Fall Meet. Coincidently, my neighbor is the a big-shot there, um-wait, I mean he's the Vice President, and he invited me to join the National AACA and enter my car in the regional show in October at Moody Gardens on Galveston Island (you must be a member of the national AACA to enter in a regional or divisional event). 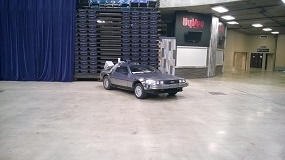 So I joined and entered DeLorean 03341 in the meet. 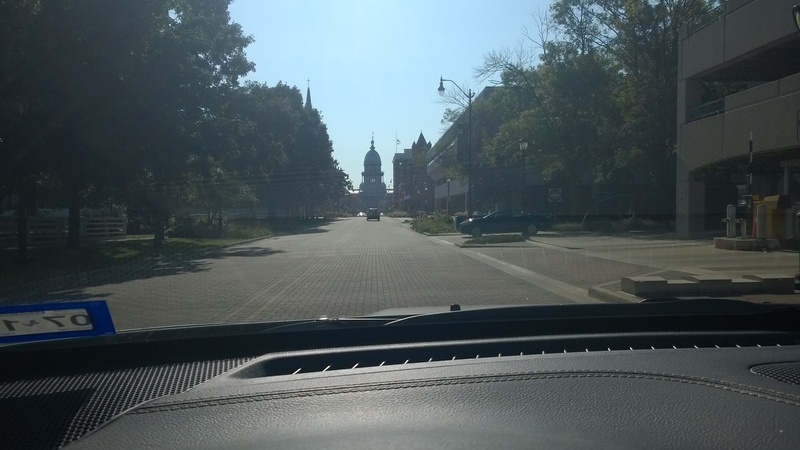 The weather was picture-perfect at about 75-78 degrees, and crystal-clear blue skies. Photos by Thomas Kidd unless otherwise noted (click images to enlarge). Arriving at the show lot entrance adjacent to the Moody Gardens Hotel, getting my show packet. Here, 03341 sits among the three pyramids of beautiful Moody Gardens. 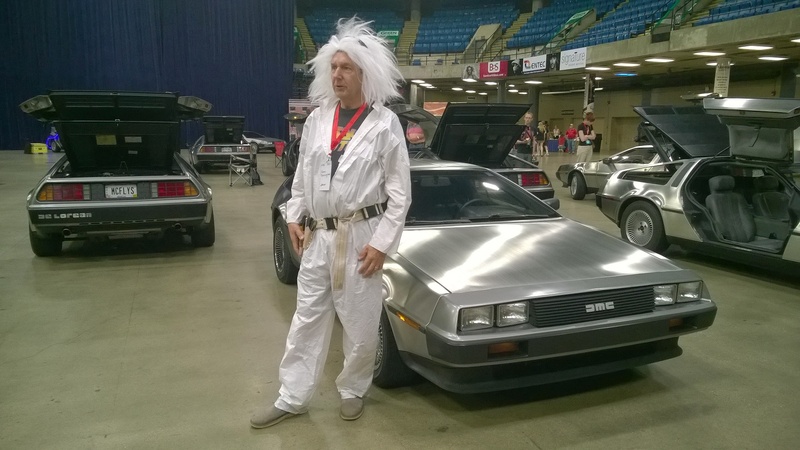 It was the only DeLorean entered (Driver's Participation Class), although a fellow Avanti owner from New Orleans did approach me to talk DeLoreans (he also owns one, but had entered his Avanti at this particular meet). While not related to DeLoreans, I include this picture as honorary mention of a 1927 Stutz Black Hawk Speedster, sister to one of my all-time favorite cars (DMC-12 not withstanding of course), a 1914 Stutz-Bearcat. 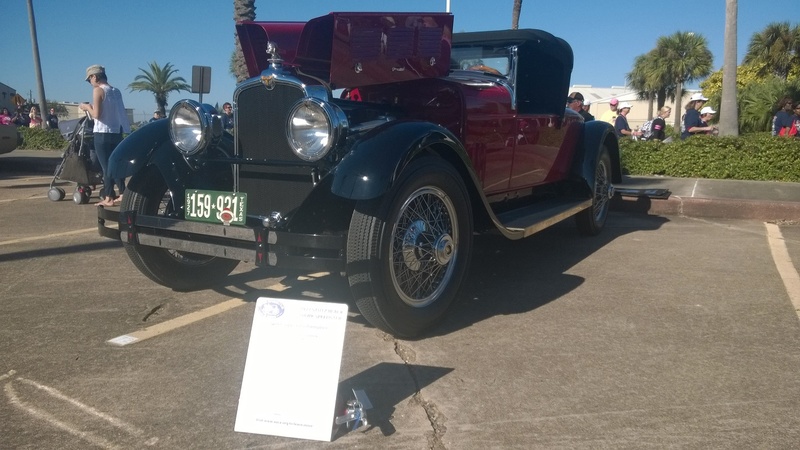 All car enthusiasts have their favorite cars or car lines (I have four), and Stutz motorcars are in my top four. 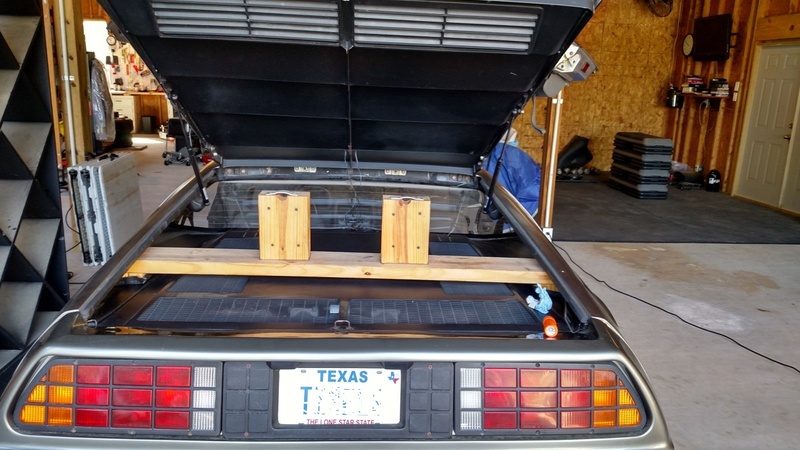 This page has been viewed 2928 times.